Two Bright Lakes is very proud to welcome Galapagoose to the fold with the launch of the first single One Who Can’t Move from his debut full-length album Commitments. Galapagoose is Melbourne, Australia based interdisciplinary artist Trent Gill. 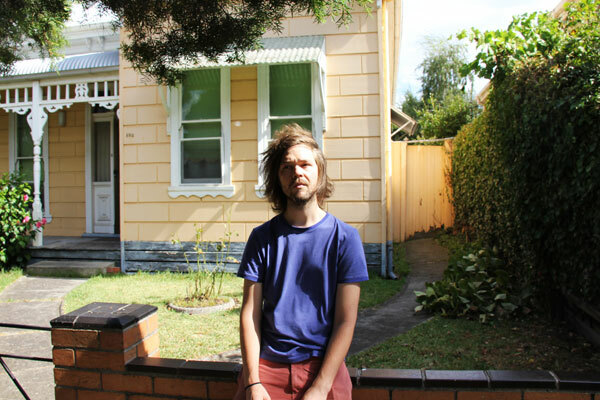 From a jazz theory background but with a distinctly DIY ethos, Trent’s musical creations take on many forms, from recording and composition, to designing studio hardware and computer software. He is well regarded in underground electronic circles for his developments in live performance-based software, focused primarily around the Monome. Though deeply multifaceted, Trent’s productions remain the central tenet of his output, harnessing a delicate soulfulness alongside brash experimentalism, with performances rooted in improvisation and spontaneous vocal sampling. After traveling abroad through 2011 to tour with Young Magic (Carpark), of whom he produced the group’s debut album, Trent found himself living in NYC. Through a serendipitous alignment, a joint performance with Daedelus occurred, laying the foundation for the release of Trent’s solo debut album, ‘Commitments’, on Daedelus’ own Magical Properties imprint and released in Australia through Two Bright Lakes in March 2012.